Kidding season is the most wonderful time of the year. In my opinion, it is more exciting and rewarding than any holiday season, summer vacation, and rose-colored childhood memory combined. I arrived on the farm in early January with a handful of other WWOOFers. We had to wait an entire week for our first pregnant goat to give birth. The wait was total agony. 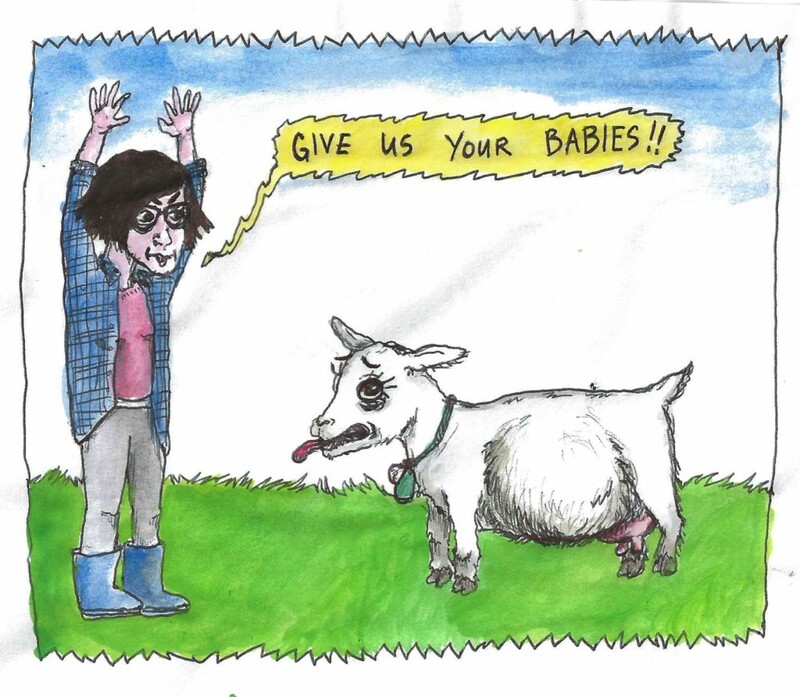 Frightening pregnant goats into giving birth early DOES NOT WORK. Since the birth of our first goat, Craze-E, we have added Squash, Gourdon, Pursuit, Jigsaw, Button, and Truffle to our miniature goat family. The (somewhat gross) miracle of childbirth aside, all the babies are healthy examples of adorableness, replete with fluffy tails, perfectly fat bellies and diminutive cries that can barely be classified as bleats. The kids are good for WWOOFer morale. A tiresome day of mucking out stalls is nearly alleviated after a visit to the nursery, where you can scoop two or four kids up in one arm and blow raspberries on each darling’s head. The best chore on the farm is bottle feeding. 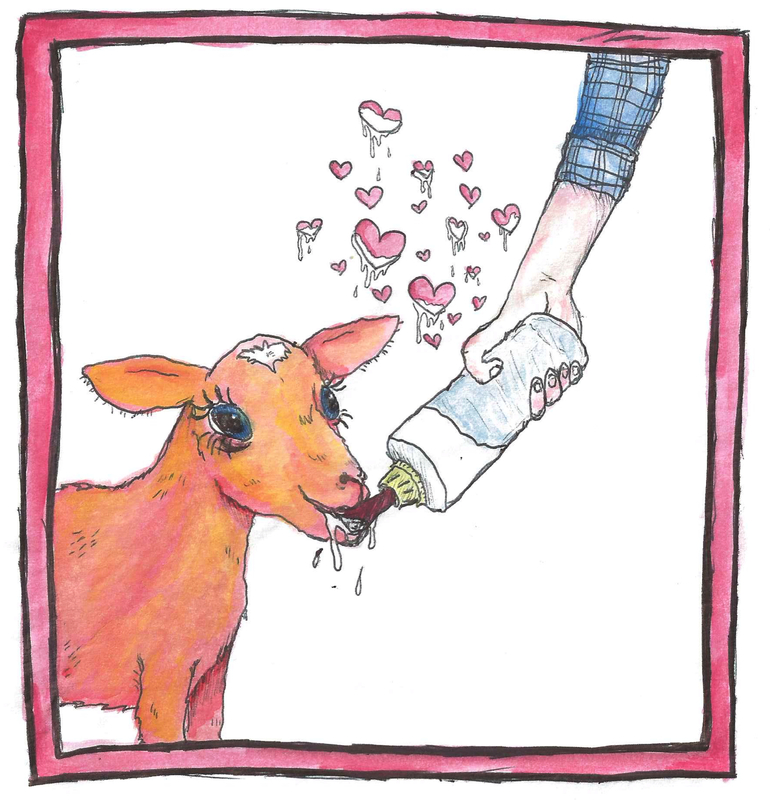 It’s difficult to describe the exact feeling I get when holding each fragile, young beast in my arms and watching it tilt its head to look me in the eye while forming a tiny grin around the bottle’s teat. No being has ever been so grateful, no being has ever been so content for so little. At least it feels that way; it’s powerful and addictive. We are blessed with every healthy litter of kids, but not every kidding process is so effortless. [Warning: This blog post is about to get sad. If you quit reading now you can continue to daydream about dancing baby goats.] A couple evenings ago we noticed one of our soon-to-be mamas showing signs that she would soon be in labor. As it was getting later in the evening, we tucked her in the nursery amidst the other brand new kids and moms where she would be warm. We checked on her progress every few hours throughout the night. Even with close monitoring, sometimes kids don’t survive. When our intern, Nicole, checked in with the mamas for the morning feed she found the goat had given birth to two: one of the kids was cold and motionless, the other never made it out of his amniotic sac. But Nicole has been through kidding before, she quickly tried to warm the frosted kid to save its life. It worked! Everyone on the farm visited the lucky kid throughout the day, to bask in its cuteness or fend off anything else that might befall it. As evening drew closer, it was clear the mother was not paying attention to her baby and even obstructing its path to her teats (this is a topic that has been discussed at length amongst the WWOOFers, how could anyone– Lucifer included– neglect to care for such a sweet and defenseless being? And yet, some mothers…) Another WWOOFer, Emma, took the hungry and shivering kid into her cabin for the night. They tenderly dozed together and in the morning Emma woke up extraordinarily early to milk the unrelenting mother in order to feed her baby. With all the affection and care the kid received she began to show signs of improvement. We left her with a group of other young kids where she seemed content, if not a bit aloof. We decided to leave her to sleep with the kids that night. She was still alive the next morning, but she wasn’t eating. She wasn’t thriving. She continued to have difficulty walking. 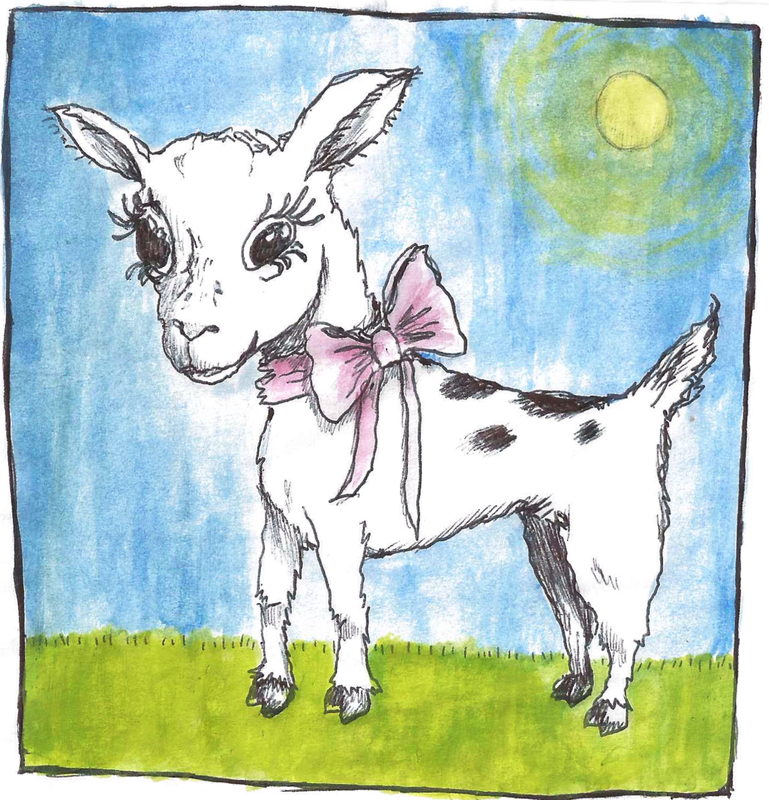 We did nearly everything you can do to save a goat, just short of witchcraft (we might have dabbled with witchcraft). As her temperature dropped, Emma and I bathed the goat while our farm manager, Kerri, prepared a heating blanket to wrap her in. The kid was so weak we had to hold her head above water while she gazed at us quietly. I won’t drag out the details of the hours we spent watching her struggle to hold on, but I will say that we gave her everything she needed to pass on knowing that she was loved and wanted. It might seem silly to some people that anyone living on a farm should care so much for a particular animal, especially an animal that has taken fewer breaths than it has hairs on its body. Truly, it is not emotionally sustainable to avidly mourn every goat we lose. What is important is that we earnestly care for our goats. We love and respect every animal on this farm from the moment it arrives to the moment it departs. 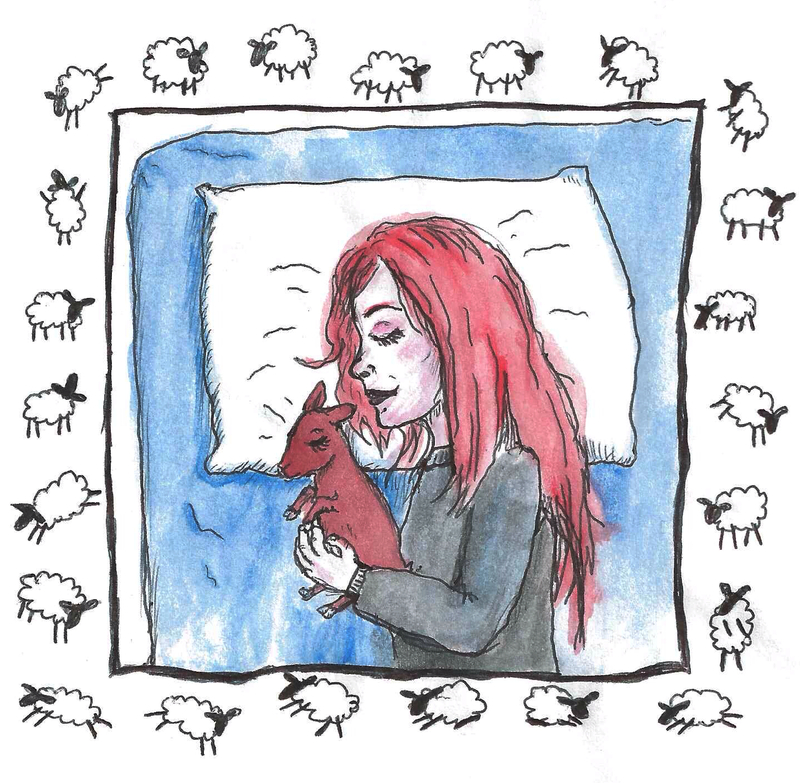 I know now that kidding season is not merely fountains of wriggling baby goats raining down their kisses like droplets of water, but it is also not exclusively the cruel hand of fate harshly plucking our most treasured babes from our arms. As with everything in life, kidding season is a balance: one side throwing into relief the preciousness of the other. Just as the goats are lucky to have us, we are lucky to have them.